A toddler’s ability to identify a favorite toy or an adult’s recognition of familiar faces at an airport are just two small examples of the incredible, energy-efficiency of the human brain. In today’s modern world of beeps, buzzes, AI whispers and clicks, energy is a commodity in high demand. In the case of computing, the more energy-efficient our digital tools become, the more we want more of them. Yet to make today’s laptop computers and cell phones function as efficiently and effectively as a child’s brain requires a massive amount of power—on the scale of a nuclear reactor. While scientists know brain-like computing, called neurocomputing, works in theory, its power consumption remains unsustainable, which is the reason we currently don’t have brain-like computers. It could also be why the Department of Energy (DOE) entrusted nearly $10 million to UC San Diego’s award-winning, Distinguished Professor of Physics Ivan Schuller, who is working with his condensed matter physicist colleagues Alex Frano and Oleg Shpyrko, to establish the Energy Frontier Research Center (EFRC) at the university. 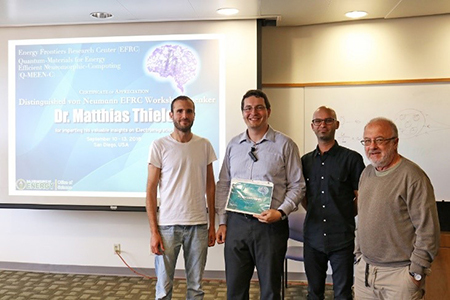 With a mission to conduct basic research to create a new, energy-efficient platform for neuromorphic computing using quantum materials, the EFRC on campus is part of a network of 40 centers nationwide. Supported by DOE’s Office of Science, these centers bring together researchers from multiple disciplines and institutions to form synergistic, highly productive teams who harness the most basic and advanced discovery research aimed at establishing the scientific foundation for a fundamentally new U.S. energy economy. 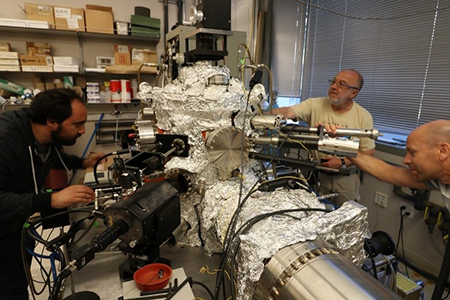 Schuller, director of the EFRC on campus referred to as Q-MEEN-C, explained that experimenting with quantum materials—systems based on metals, oxides and organics with unusual electronic and magnetic properties—could lead to building a machine that functions like a human brain. Right now, however, quantum materials, while promising, remain mysterious. Despite the uncertainly, Schuller admitted that what drives him to conduct the research is that moment of discovery. “I love it when, at 9 o’clock at night, I am in the lab and realize that I am the only one in the world who knows this information right now,” he said. 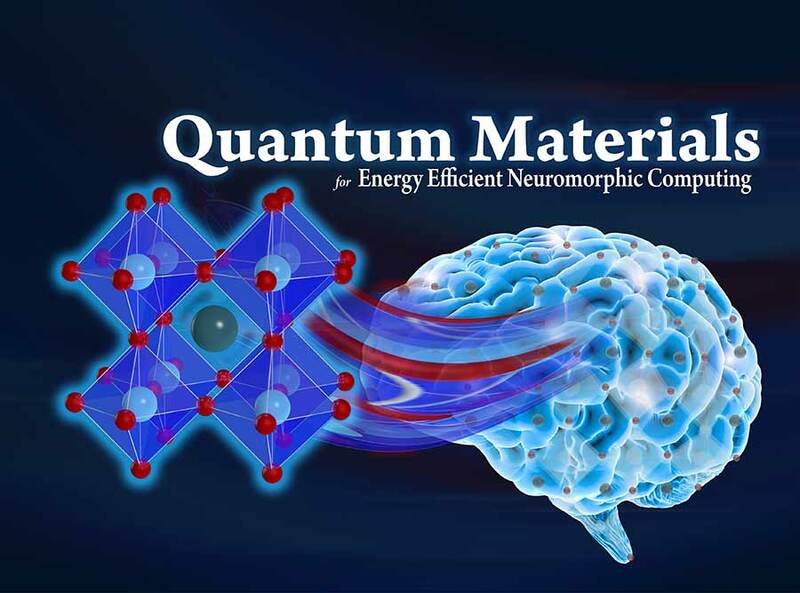 Frano, EFRC assistant director, affirmed the goal of discovering a new energy-efficient platform for neurocomputing based on quantum materials. “We have identified a class of quantum materials—similar to rust—that once we fully understand them, we can manipulate them,” he said, adding that being able to do so could lead to the scientific breakthrough needed to develop the hardware necessary for neurocomputing. 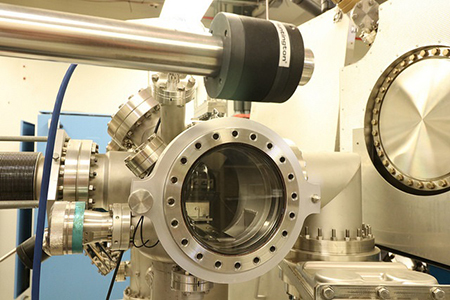 A close-up view of a Molecular Beam Epitaxy system useful for the preparation of quantum materials in the Schuller lab. According to the DOE press release, U.S. Secretary of Energy Rick Perry said that America’s continued energy security and global competitiveness will depend on a sustained effort in science and discovery. “By mobilizing the talents of our nation’s top scientists and forging them into powerful, pro-active teams, the EFRC program will help ensure America’s leadership in the development of critical energy technologies and innovations,” stated Perry. At UC San Diego our research efforts are designed to change the world for the better. The Department of Physics is among the top 20 graduate programs in the country. The first students to enroll at the university in 1960 were graduate students in physics.